Moore- Blanchard Funerals & Cremations can assist you in designing your loved one's memorial monuments. We have traditional bronze and granite markers. We are able to design for single and companion monuments. 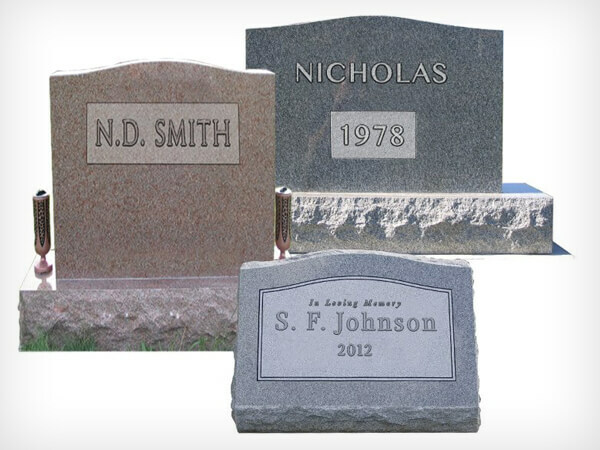 Granite monuments come in a variety of designs for both upright and flat ground markers. In addition, we are also able to add a vase to our monuments. We can assist with date of death scrolls for bronze monuments, and also in having the death date placed on granite monuments. Moore-Blanchard Funerals & Cremations also will provide personalization at no extra charge.